Rob Brydon is perhaps best known for the television shows Gavin and Stacey, Would I Lie To You? and The Trip as well as Marion and Geoff, Human Remains, Little Britain, The Rob Brydon Show, Best of Men, Gangster Granny, and Q.I. His film work includes The Huntsman: Winter’s War, Cinderella, and Lock, Stock and Two Smoking Barrels. Last year in London’s West End he starred opposite Sir Kenneth Branagh in The Painkiller. His other theatre credits include Future Conditional at The Old Vic and A Chorus of Disapproval at The Harold Pinter Theatre. 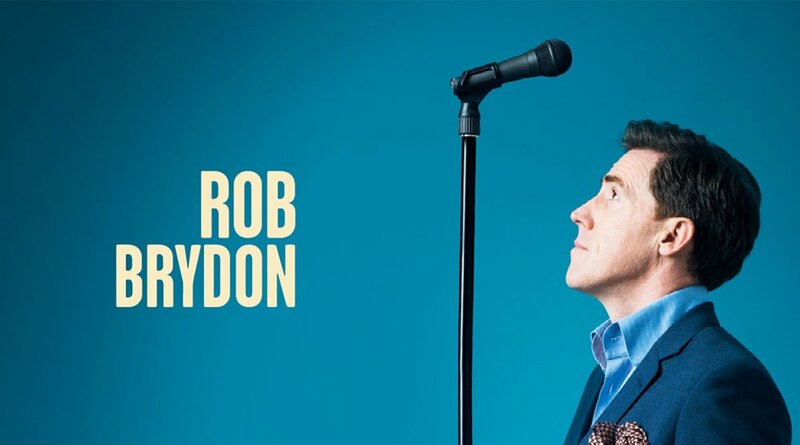 These dates are Rob Brydon’s first stand up shows since his sell out national tour and West End run of 2009. See Rob Brydon at Portsmouth Guildhall on Friday 3rd November from 7:30pm. Tickets are £31.80. Tickets go on sale on Friday 4th August.